A collaboration with Pablo Miravalles, my colleague and pastry teacher. It's a pleasure after a few years to get back with old colleagues and messing up in the kitchen. This time in mine!. So here we are finding the common denominator on the dessert to create: whiskey, one of my favorite liquors. 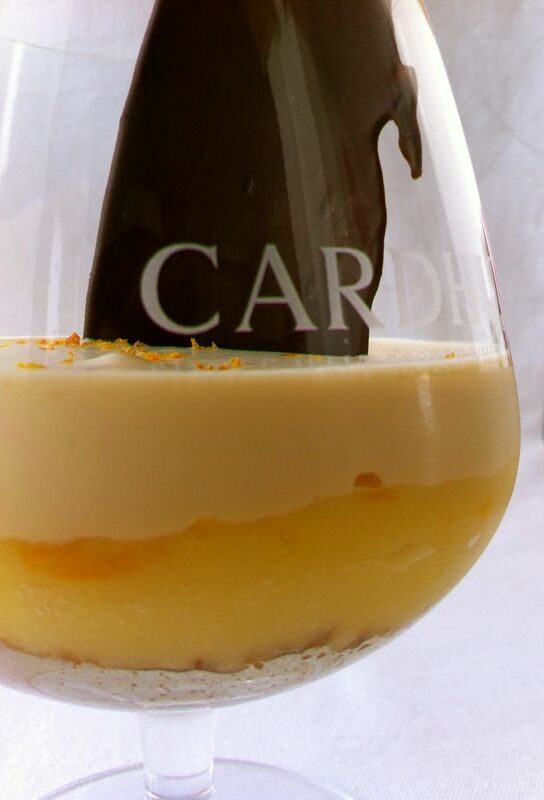 We both had the idea of a orange mousse as this citric combines fantastically with whiskey. 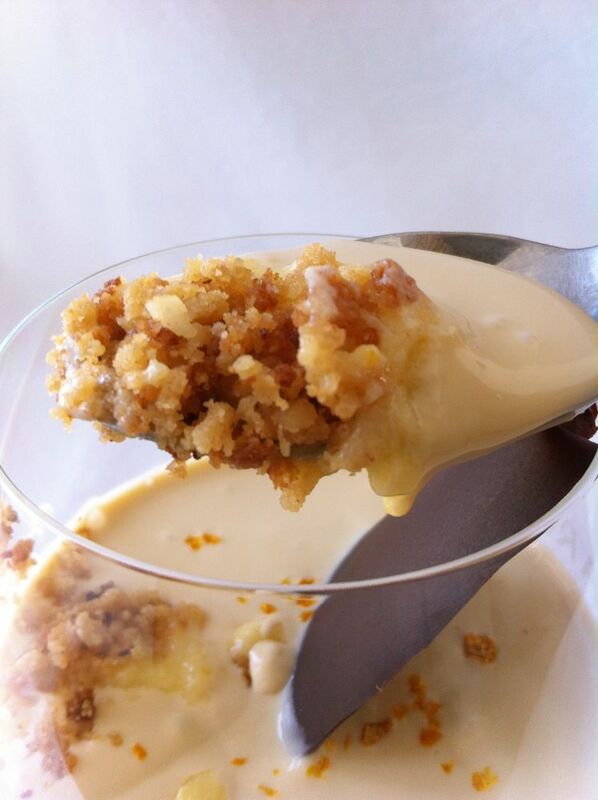 As a base I thought of a cake but Pablo came out with this brilliant idea of a crumble of which he prepared himself the praline of macadamia nuts. Very nice consistency ... but most of all delicious. Excellent nutty flavor to go with the whiskey. The liquor, the protagonist ... ends in a fantastic cream. I noticed that one of the best ways to try an ingredient that you've never used before in pastry, is through the custard cream: it enhances the flavor and gives a clear perspective on the various possible combinations. I noticed this when I started to introduce thyme, tea, pepper etc.. in my desserts. The reason might be the depth of the egg or the creamy consistency that fills the mouth and quickly touches all taste buds. In a cake or mousse, the experience is not so direct. Mix all ingredients until the dough is smooth. Put in the freezer for a few hours in order to harden it and then grate it sprinkling on a tray. Bake for about 10 min. 160 ° or until you get a golden appearance. When cool break it into crumbs. In a small saucepan reduced to half the orange juice with the sugar and the zest of only 1 or 2 oranges. Hydrate the gelatin with water and ice for at least 15 ‘ and add to the reduction once removed from the heat. Whip the cream and stir in orange when the reduction reached room temperature. Mix gently with a rotary movement from below upwards. Fill the saccapoche and store in refrigerator for at least 4 hours. In a small saucepan evaporate most of the alcohol of the whiskey. In another saucepan put the rest of the ingredients and work out the custard together with the reduction of whiskey. If you want a strong whiskey flavor, add a shot of pure whiskey at the end and out of the fire. 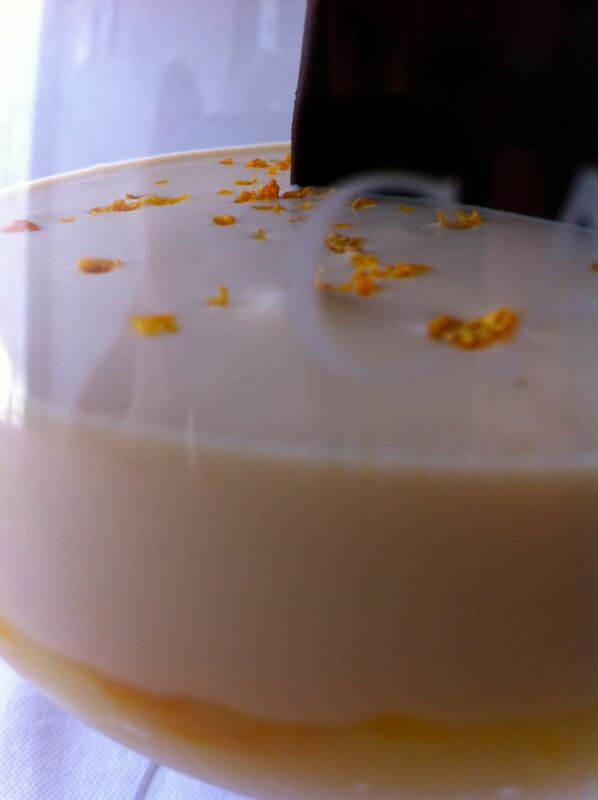 Mount the glass at will and finished with some orange zest, chocolate or both.